Loop has collaborated with ORCID to synchronize researcher profiles to make it even easier for researchers to import their publications into their Loop profile. 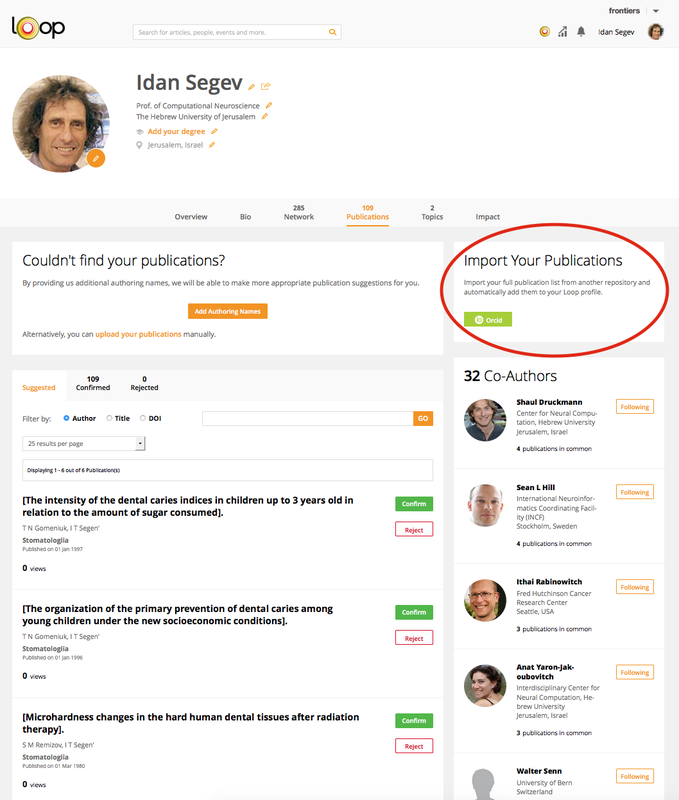 The integration allows researchers to import all their publications from ORCID into their Loop profile with the click of a button, eliminating the need to maintain multiple online profiles. Loop was designed to maximize impact and readership for researchers. Our approach is open, collaborative and inclusive and we strive to provide a platform where researchers have all the tools at their disposal to enhance academic discovery and impact. This includes integration with ORCID. An ORCID iD and other identifiers have become crucial within academia as mechanisms to find, link and navigate the vast volumes of information and data now available online. Loop recognizes the importance of connecting and synchronizing with these identifiers and believes that a single platform where all this information is aggregated, organized and made accessible, will enable more effective academic discovery and impact.